Cerebral palsy (CP) is the most common cause of motor disability during childhood. The brain injury that causes cerebral palsy causes dysfunction in the way messages (impulses) from the brain to the nerves to the muscles are transmitted. This problem with impulse transmission causes the child to have problems with movement, coordination, posture and balance. A child can get CP until approximately 3 years of age, although cerebral palsy sometimes isn’t diagnosed until the child is 4 or 5 years old, when certain developmental milestones are missed. Although data is lacking, it is thought that approximately 4 out of every 1,000 children are diagnosed with CP before 8 years of age in the U.S. The risk of cerebral palsy is significantly increased among babies that have a low birth weight. Thus, babies born prematurely are at high risk of developing cerebral palsy. Advances in the medical field, however, have helped physicians better manage problems that are associated with premature birth. What does Cerebral Palsy Look Like? Cerebral palsy is different in every child. In some children, the CP is severe, affecting all 4 limbs. Many children with severe cerebral palsy have no use of their legs and may have a difficult time controlling their bladder. Other children have a mild or moderate form of cerebral palsy. These children may have 1, 2 or 3 limbs affected. Children with spastic cerebral palsy, which is the most common form of CP, typically have normal or near-normal range of motion above the hips, although some spasticity may affect the upper body. Does Cerebral Palsy Worsen over Time? The brain injury that causes cerebral palsy does not get worse over time. However, if a child doesn’t receive a lot of therapy and treatment for CP, additional muscle problems may be caused by the continuous imbalances in the muscle groups. There have been major developments in treatments and therapies for cerebral palsy, however, that are helping children take their very first steps. Selective dorsal rhizotomy (SDR) is a fairly new surgery for CP, and there are numerous forms of physical therapy that work well as part of a PT program or when coupled with SDR. It is very important to diagnose cerebral palsy as soon as possible because the earlier the therapy begins, the better the outcome for the child. The damage to the brain that causes cerebral palsy only affects motor function. Therefore, a child with CP can have a very high intellectual capacity. Sometimes, though, the event that caused damage to the part of the brain that affects motor skills also causes injury to other parts of the brain and body. This means that some children with CP may have additional conditions, such as seizure disorders, intellectual disabilities and eye problems. 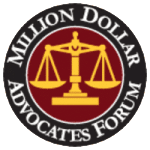 If you believe your loved one’s cerebral palsy diagnosis was the result of medical malpractice, we encourage you to reach out for legal help. 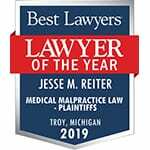 The award-winning Detroit, Michigan cerebral palsy attorneys from Reiter & Walsh ABC Law Centers have decades of experience specifically handling cases related to cerebral palsy and birth injury. 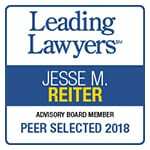 In fact, Reiter & Walsh is one of the only law firms in the country that exclusively takes birth injury cases. For a free case review, please contact our Michigan cerebral palsy lawyers today. You may contact us by calling our office toll-free at 888-419-2229, completing this online contact form, or pressing the Live Chat button you see to the left of your browser.